As an industry manager, executive recruiter, sales and recruiting trainer, event speaker, and as VP of a nationwide system of recruitment offices, I have seen most every aspect of the hiring process from both the internal and external view as the decision-maker, the decision-influencer, and as the objective observer. This varied insight is what provides the clarity that I will bring to your LinkedIn profile. Your LinkedIn Renovation will be completed by me personally. Your LinkedIn Profile Renovation is usually completed within 5 to 7 business days from the time of placing your complete order *. *complete order: 1. completed the purchase check-out process; 2. emailed your current resume version(s); and 3. the initial phone consultation has been completed. 1. Complete the purchase check-out process for your LinkedIn Profile. 3. Be sure to include your upcoming schedule availability for our phone consultation call, where we will discuss your business and career goals before beginning to create or renovate your profile. I will contact you by the next business day to schedule your initial phone consultation, where we will discuss your career goals, and review the goals for your profile. When your new profile is ready, you will have an opportunity to review it to be sure that it meets with your expectations. Your NEW LinkedIn Profile Awaits! Q: Isn't my LinkedIn Profile just my resume? 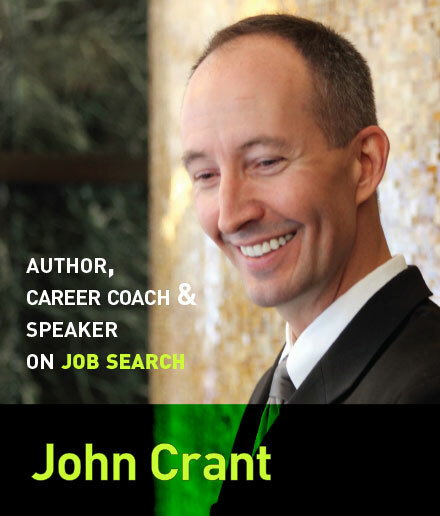 Many individuals do have their LinkedIn profiles that are ‘just like their resumes’. Your Professional LinkedIn Profile should be ‘positioning and selling’ your background, your accomplishments, your connections, and your industry expertise in ways that no resume can because of a resume’s inherent limitations. In order for Your Resume to be effective for you, it should be a Simple Sales Sheet that creates desire to hire, and that must be in a single page format to increase its effectiveness among the thousands of resumes competing for attention. That’s your Name, Your Headline, and Your Professional Picture. Most poorly developed profiles happen because individuals just ‘answer the automated questions’ during their LinkedIn sign-up process. That produces a profile that looks like a basic, but typically ineffective resume. Each area where you can input text and information about yourself within LinkedIn is another area to better sell yourself. Rather than just answering ‘the questions’, take back control for yourself and use each one of these spaces as opportunities to shine the light and build your credibility. You may have more than one specialty. If your career has focused in-depth on two or more areas, it’s critically important when going after a job to send a resume that speaks directly to the opportunity that you are pursuing. But, how do you resolve having different versions of your resume with what your LinkedIn Profile says about You? It’s about knowing what information that you have written is of value to your profile’s visitors, and which information is not. And each piece of information that you include must continue to build your credibility -and add a foundation of support for all of your resume versions. Whether your profile visitors are potential Clients or Customers, HR professionals or hiring managers, understanding how to properly frame your experience and accomplishments – to properly take credit and never to misrepresent – requires a deep understanding of your business and career goals, and an understanding of how the hiring process actually works. Not simply a repeat of what you might have written on the top of your resume, these two areas are a vast piece of prime real estate on your profile that should be used to ‘position you’ within the mind of the reader. Think of this prime space below your headline as your Personal Promotional Marketing message. What will you say about ‘You’? It’s a great chance to spotlight your current projects and agenda. When I work closely in my Career Coaching & Mentoring service with professionals that are not currently looking for a new job, it’s almost always on their challenge with internal and industry marketing efforts ‘of themselves’. Those that actively manage their careers know that you must continually be ‘taking credit’, and marketing that credibility that you are building, to others. That’s one of the best ways to be seen as a leader, an expert, and the right choice for that next-level position that suddenly opens up. Want to be seen as an expert? Well then you have to be communicating with the world. A blog is one of the easiest ways, for those with the proper writing skills, to effectively position themselves as the go-to expert in their niche. I will integrate your blog into your profile, or offer a service to set up your blog if it’s your first time blogging. Have a website of your own (another great way to increase your credibility)? LinkedIn’s ability to include web links can be used to highlight your current company, your own company, or your own initiatives within your industry. Been featured in an article for about industry? It’s a great way to share that link too. Almost anything appropriate that you have to share can be attached. If you do write a blog that raises your credibility, showcase it, and the topics that you cover, in a listing under Publications. Let your writing work for you continuously. You can choose to make your profile public to all. Why not? I’m often asked in my lecture series about privacy. While privacy concerns do have to be dealt with, reality also needs to factor into how ‘public’ we choose to be. Ever notice how the younger generations (sometimes to their detriment) don’t seem to have a care in the world about having a ‘presence online’? In their minds, I think many of them think, “How can you live and breath and not ‘live’ online?” In another few years, everything about everyone will exist somewhere on the Internet. And, it will be seen as a very poor screening process if someone gets hired and they don’t have a professional presence of credibility online. My advice: if you can’t beat them, join them. Be public and take control of that perception about you. Yes, it’s okay to toot your own horn. List your career achievements and awards in a special section to raise your own stock. We are who we associate with –in other people’s eyes. Be sure to make the most of your memberships to highlight your professionalism with your industry. You have control over many other aspects of your activities while on LinkedIn. Be sure to ‘show’ what you’ve been up to –so that you are seen as a mover and a shaker. Do you present and speak with others in your industry? Your presentation can appear right within your profile. Now that’s a great marketing tool, for You! That may be the difference in being considered for your next business or career opportunity and getting that next meeting or interview -or going unnoticed. Full-service LinkedIn Professional Profile Creation / Renovation is for individuals that understand that they have to compete, and that LinkedIn gives them the platform to do so. Get your new professional profile, or improve the effectiveness of your current one. Most individuals do not understand the opportunity and advantages that a rich, professional profile on LinkedIn can present to them, whether that’s for their business or for their careers. But I already have a LinkedIn Profile. Congratulations! You’ve taken an important first step by adding yourself to LinkedIn. Now take the next step and raise your profile’s effectiveness through my LinkedIn Professional Profile Renovation. In my Self-Recruiter® Building Your Professional Network with LinkedIn & How to Use It for Your Job Search seminar, many attendees ‘have’ their profiles set up, or at least they have entered their resume on the LinkedIn site, but they don’t understand what else they should be doing -other than waiting. They are just waiting. Looking up to the heavens and waiting… for that ‘networking’ lightning bolt to strike. And they keep waiting until they quickly lose interest, failing to see the true value that is awaiting them –if they had used their LinkedIn profile in a different way. Your LinkedIn profile… is Your Sales Brochure that is all about You. Imagine how your Client or Customer meetings, Job Interviews, and even your pursuit of your company’s internal open positions would change… if the individuals that you were meeting had spent time reviewing Your Sales Brochure beforehand. Your Professional LinkedIn Profile is a multi-dimensional Sales Presentation all about You! –or at least it should be! In the modern world, perception is reality.